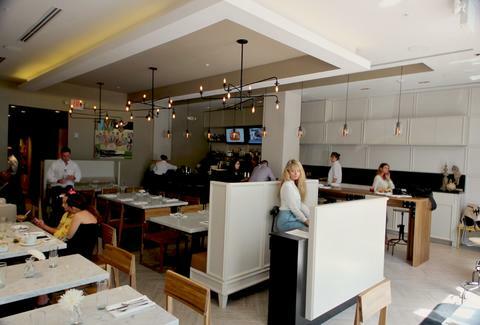 Providing the feel of spending a weekend in a beach house without the need to prop up your dead buddy until the conga music comes on, Charles Street is a beachy bistro in Boulan Hotel in South Beach, and is serving breakfast all day, sliders all night, and drinks stiffer than the the guy whose house you're using. 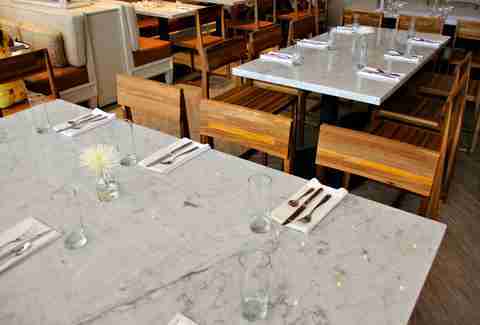 During construction of the chairs and bar, workers went through over 20 drill bits trying to put holes in this Mayan Teak, or “bulletproof” wood. 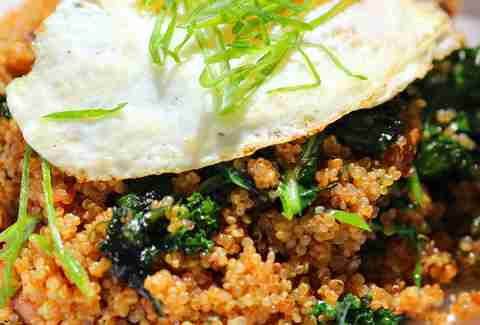 The quinoa fried rice is topped with pork belly and a fried egg, and may well be the first time you've had fried rice for breakfast that doesn't involve a white container from your fridge. You can grab biscuits and sausage gravy, steak 'n eggs, and other breakfasts all day long, while a serious slider menu kicks in at noon and is available all the way until 5a. 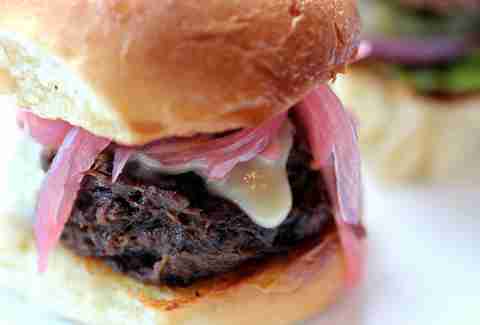 This one is a brisket blend topped with American and caramelized onions. 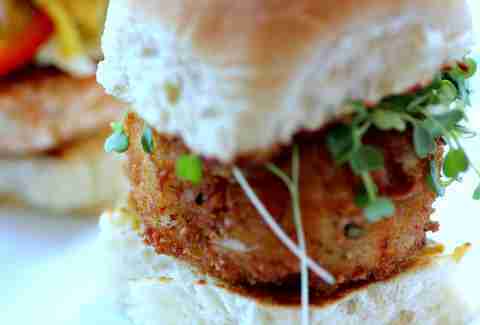 The crab slider was originally a SpongeBob character who alternated between parallel universes, but now is a crab cake topped with spicy remoulade and mixed greens. 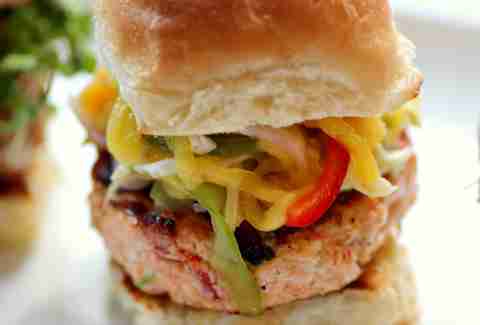 If you like your seafood topped with mango slaw and wasabi mayo, then you would very much enjoy these salmon sliders. 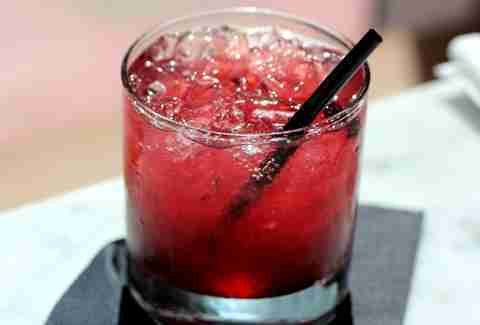 The Bourbon Frizz: Bulleit bourbon, blackberries, lemon juice, and honey syrup. 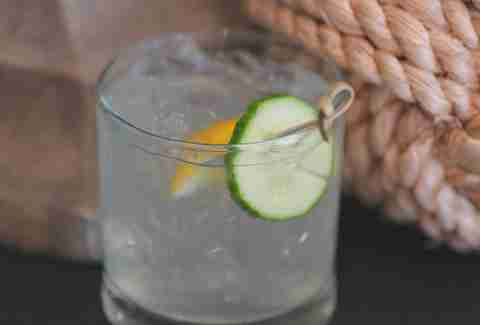 The Cucumber Cooler -- Bombay, cucumber, and lemon -- will wake you up no matter what time you order it. The same can't be said for your friend with the aviators and the mustache.